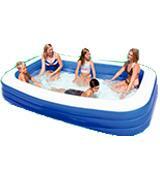 Fantastic Intex inflatable pool can accommodate up to 5 persons depending on their age. Hence, you can have fun together with your kids! Durable 3-ply material ensures long service life while the filter pump always provides clean water only. The pool comes without a rigid frame. It requires installation on a flat surface and no more than 80% filling. 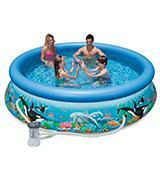 Intex inflatable family pool is one of the biggest models. Owing to its graphic design and ocean life images, this fabulous kids inflatable pool will become an excellent and affordable alternative to a stationary swimming pool. Each inflatable section has a separate valve to control the pool height and rigidity for children of a different age. A pretty narrow drain valve causes slow water drainage. 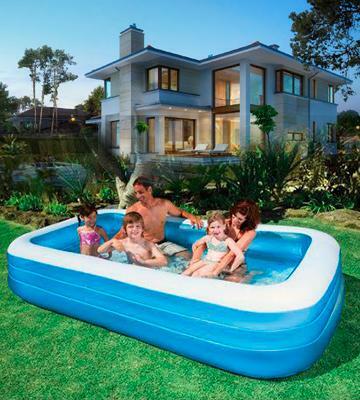 Jilong inflatable pool is large enough for the whole family to have fun in the garden or backyard. If you live far from the beach or have no time for a summer trip and your kids are dreaming about swimming outdoors, a home inflatable pool is the easiest way to amuse and entertain your little ones. 20" х 120" х 72"
Two inflatable sections of a different depth are safe and convenient for children of a different age. It is extremely easy to be filled with water and to be drained. Many inflatable elements make installation of the pool a bit time-consuming. This bright and eye-catching inflatable play center will become an entire domestic water park. It includes an inflatable pool slide, a ball roller game and a ring toss game offering your kids tons of ways to have fun on a hot day. 53" х 76" х 117"
Fountain sprayers create additional coolness to protect your kids from sunburns and overheat. 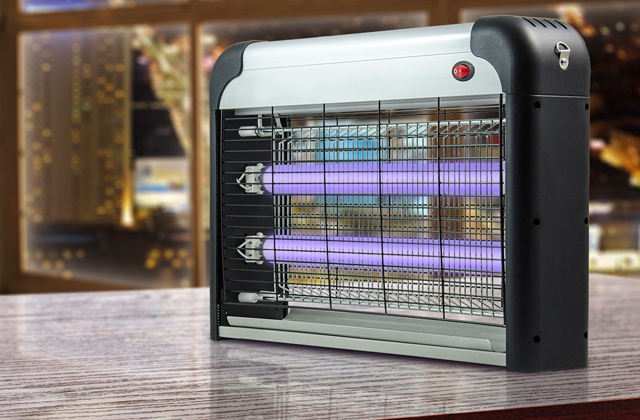 It is easily folded and it's very compact for storage. This mini pool requires constant access to a water hose. 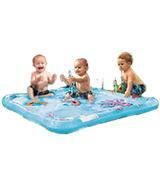 A lovely One Step inflatable pool is an exceptional choice for small babies who can already sit. On a nice holiday, you can replace a baby bath by a spacious inflatable kiddie pool with water. It is easy to fill, drain and fold it for storage. Very low pool design protects babies from getting hurt even if they fall. No need to inflate. The entire plastic design is highly resistant to punctures and damages. A bit small for two children. 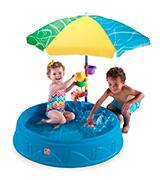 A gorgeous Step 2 baby pool and sandpit will bring amusement and a good mood to your children. 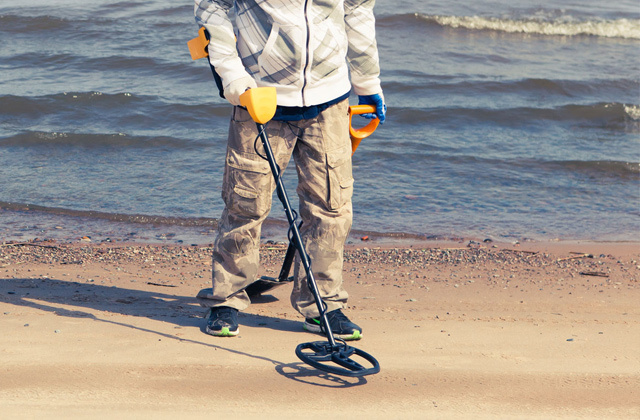 At the weekends they can splash in the water or use it as a sandpit to build sand castles outdoors. This incredible Intex Ocean Reef family pool will become an unmatched present for the whole family to escape from summer heat. 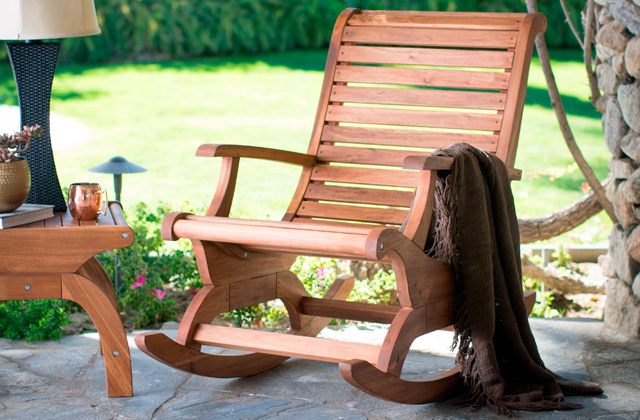 Due to its pretty large dimensions, it will take some space in your backyard. But at the same time, it can accommodate from 2 to 5 persons depending on their age, weight and height. It is recommended for children from 6 years old and is suitable for adults as well. Your kids will surely admire splashing and playing with their friends in this superior pool on a hot day. And all your family can enjoy a fascinating time together on a summer weekend. Intex Ocean Reef Easy Set is a traditional ring pool with a lovely graphic design and ocean life images. Made of high-quality PVC, it will become a decent alternative to stationary pools. Soft but durable three-ply material will significantly prolong the life of your amazing pool, preventing punctures and damages by kids' toys. This top-rated inflatable kiddie pool is a great option for a small backyard and you can easily take it to the summer house as well. It will bring fun and relaxation to your family and friends all summer long! Here the model name speaks for itself. Intex family pool boasts a simple user-friendly design allowing easy assembly without any additional tools. In a matter of minutes, it will be ready for filling and you will need only to spread it on a leveled ground and inflate the ring. 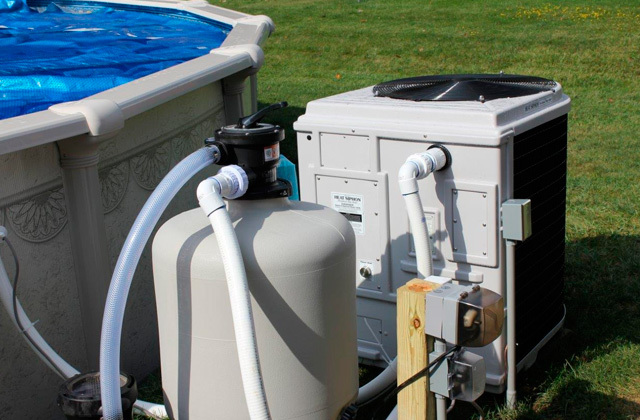 What really distinguishes this model from other similar items is a filter pump to fill the pool with a clean refreshing water. A DVD with set-up and maintenance instructions will contribute to quick assembly and appropriate handling of your ever-best inflatable pool. 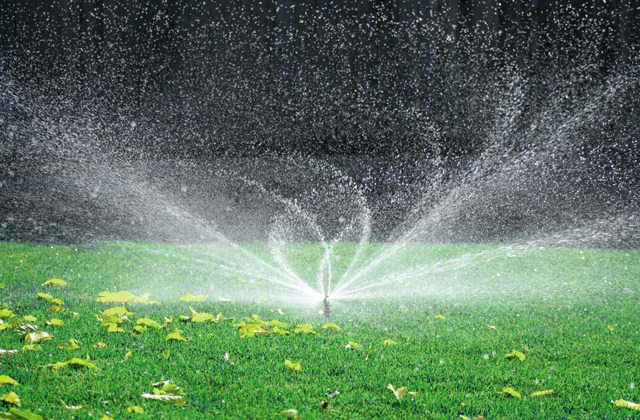 To empty your pool simply unplug the drain plug and connect a garden hose to water flower beds or a lawn. The high sidewalls and an inflatable top ring will prevent water spills and protect your children from falling out. Ocean Relief inflatable pool is absolutely safe and secure, but still, never leave your small kids unattended! A gorgeous Jilong Giant family pool is large enough for a family of 5-6 persons including adults with the room for kids to play. If your children are too small to swim in the river, this incredible model is a must-have item for your garden or backyard. Just inflate it and within several minutes, you will get a spacious pool for children from 2 years old and adults. Fill it with water, add some inflatable or rubber toys and bubble guns and you will have the entire entertainment center for your kids to paddle in for hours! 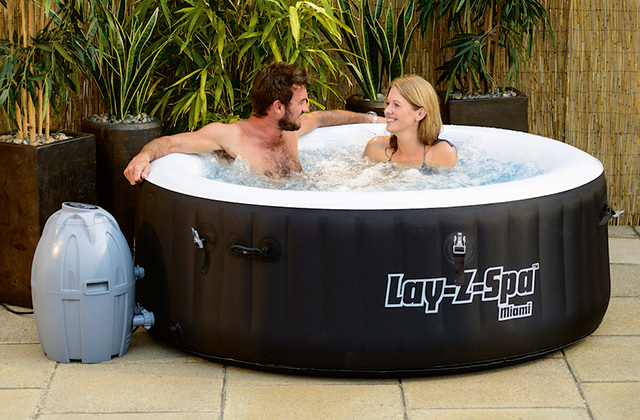 Meanwhile, on a hot summer evening, when your kids are asleep after a long day of fun, you can turn on the garden lights and chill out with your spouse in the inflatable pool with a glass of nice cold wine, sparkling champagne or ice-cold Martini. This model is a conventional rectangle swimming pool. It has three sidewall sections with separate valves. Hence, you can inflate each section independently to accommodate the necessary sidewalls height and rigidity depending on the age of your children. With three inflated sections, this kiddie pool is deep enough for the little fellows to swim and float without touching the bottom. It can become an amazing choice to teach your baby to swim. This giant inflatable pool is made of phthalate-free polyvinyl chloride. This material is safe, light and highly durable. Besides, it is very flexible allowing you to fold your pool for easy storage. Jilong Giant inflatable pool looks very simple but still it has some distinctive features. First of all, it is extremely easy to use. 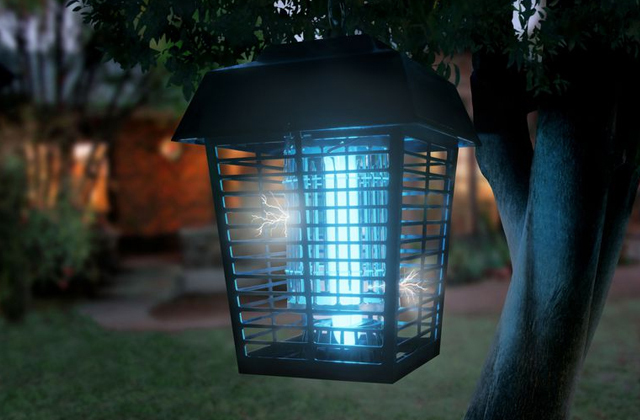 You will need only several minutes to install it anywhere in your backyard. To inflate the Jilong Giant family pool connect it to the compressor or manual pump and fill it with water by means of a hose linked to the water faucet. Yes, it's that easy! 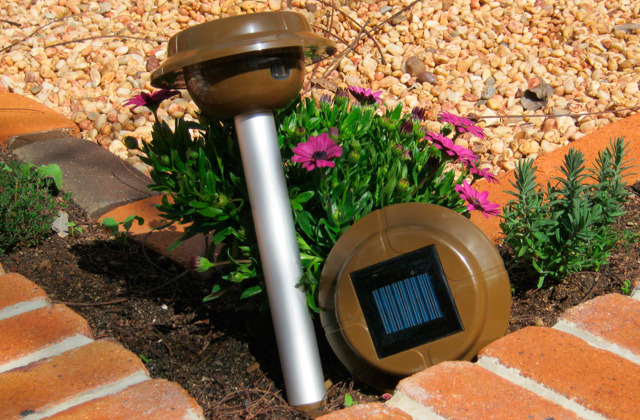 The drain hole on the bottom allows you to empty the pool quickly and effortlessly with an option of connecting the garden hose to use the water for irrigation of flowers and trees. Furthermore, the pool is very sturdy while the sidewalls are rigid and thick enough to prevent the pool from collapsing. This fantastic inflatable inflatable pool is an ultimate solution for the whole family to enjoy the summer season. Fill it with water and accommodate it as a play space for children and a lounge zone for adults. Or use it as a ball pit for the smallest kids. They will simply adore jumping and diving into a mass of soft multicolor balls. A fabulous Intex Rainbow Ring Play Center is designed for entertainment and amusement of children over 2 years old. When fully inflated, its dimensions are 53"х76"x117", including the height of a decorative rainbow. 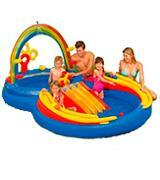 Spectacular Rainbow Ring inflatable pool is compact enough to fit your lawn and large enough for 2-3 kids to play. On hot sunny days, it will bring lots of fun and pleasure to your toddler boys and girls attracting all neighbor kids like a magnet. This really miraculous inflatable pool will become a home water park for your little ones. It includes a wading pool for the babies and a bigger pool for older kids connected by a water slide. Similar to the other models, this Intex inflatable pool boasts an attractive and outstanding design. Vibrant blue pools, a scarlet red water slide, and a bright multi-color rainbow will amuse and draw the attention of your children. Besides, the Intex play center is made of eco-friendly, durable and light PVC. It is a non-hazardous material, providing no negative impact on human health that is highly important for kids' products. A distinctive feature of this model is a dual pool design. It offers a dozen alternatives for different entertainments. Your tots will love sliding from one pool to another and splashing under rainbow water sprayer easily connected to a garden hose. This fabulous Intex inflatable pool comes with balls and rings to play ball roller and ring toss games. Besides, the bigger pool features inflatable borders for additional kids' protection. 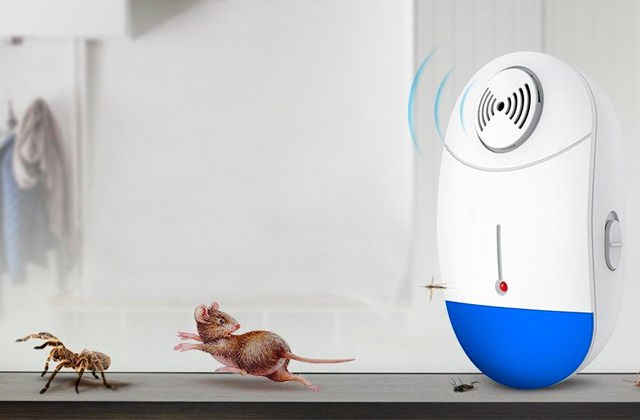 Hence, its versatility and safety make this model an ultimate solution for every family with small kids of a different age. It will become a spotlight of every kid's party and a home play center for everyday fun during summer holidays. One Step inflatable pool is designed for infants steadily sitting and holding their back. 50"x50" dimensions are just enough for a small baby to feel comfortable and secure. What can be better on a summer afternoon than sitting with your family or friends in your backyard and letting kids splash around? 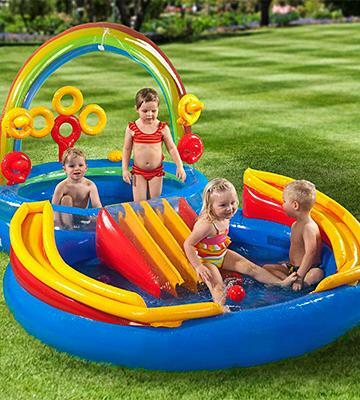 Small children of a different age will admire and get excited with this funny and attractive wading pool. Just mind watching babies over 1 year old while they are playing in it. Similar to the other models of inflatable pools on our shortlist, One Step Ahead inflatable pool is made of high-quality durable PVC. 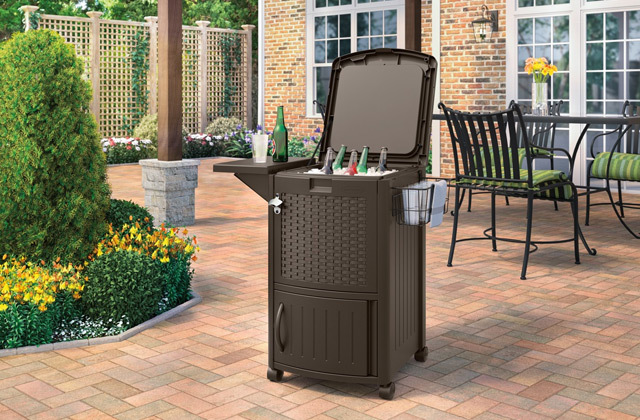 This lightweight model features a compact and easy-to-store design, allowing you to take it to the country house, picnic or simply to visit your friends or neighbors with kids - any place with an access to a water hose for a pool connection. 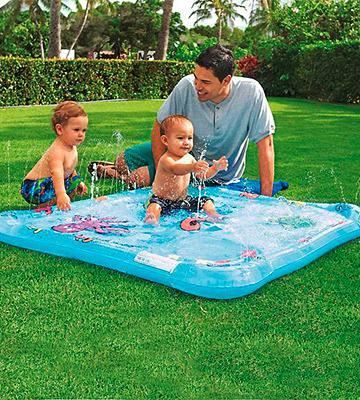 It is a simple and extremely shallow square inflatable pool for infants, making their first steps. Your little ones will love playing and splashing in this fascinating wading pool. 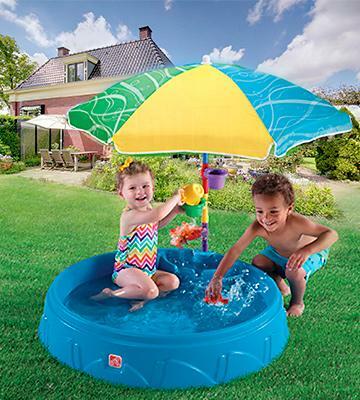 This awesome mini pool is perfect for safe water play for babies. Actually, it is a kind of a mat with small borders and an area with floating 3D fish and cute marine life graphics for small kids to explore and enhance their imagination and fantasy. Additionally, extra-soft sprayers create nice adjustable fountains to refresh and protect your child from overheat. Meanwhile, when your kiddie feels more comfortable in the water, you can make fountains higher by turning up the pressure of your garden hose. Be sure it will make your baby laugh and bring him/her a lot of fun! Outdoor games in the Step2 kiddie pool entertain your children giving you hours of spare time. Step2 Play and Shade Kiddie Pool is designed for kids over 2 years old. The baby pool is neat and compact. It is a handy model convenient for storage and transportation. In summer you can fill it with water or sand for outdoor games. And in the cold season, its space-saving dimensions allow you to use it for storing toys in your kid's room. A leading American company produces prime-quality toys and kid's products from solid molded plastic. It is highly durable and extremely resistant to punctures and damages. Step 2 products meet all modern quality standards. Step2 Play and Shade baby pool will bring tons of fun in the sun for your little ones and it is perfect for exciting outdoor activities. 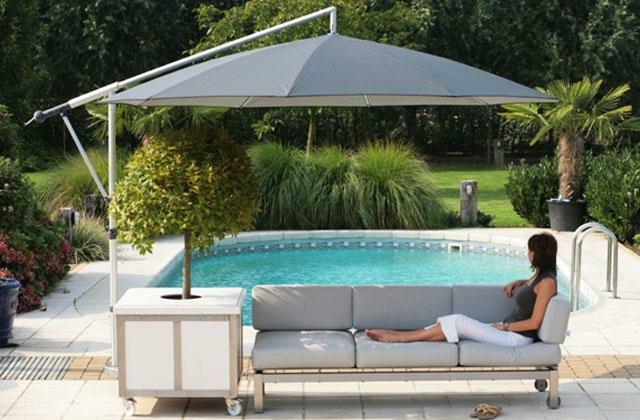 It is designed to hold 40" umbrella, protecting your children from harmful sun rays and summer heat. A versatile design makes this model an outstanding choice for home use in small backyards and is a perfect addition to playgrounds in small or private kindergartens. Amusing Step2 baby pool certainly stands out from the other models. For ultimate convenience and safety of your tots, it features two molded-in seats and a ribbed non-slip bottom surface. Meanwhile, this superior plastic pool is designed to foster learning and development through a creative play. It includes 3 funnel cups and a funny spinning water wheel easily attached to the umbrella post for additional fun. Keeping safety and amusement in mind this water activity center is certainly worth your attention. On hot weekends most of us would love going to the beach, lie in the sun, dive and swim to chill out. The reality is, we’re often tight on a schedule to do so, and thus, are limited in the options. It could be that bad if it hasn’t been for inflatable pools designed to brighten up sweltering days and bring fun to our kids. Now you don’t need to set on a trip to go to the lake; inflate a pool, install it in the backyard and have fun. There are also inflatable pools for babies who’ve just learned to sit. If not in the yard, you can take it with you to the sea and keep your little one entertained with toys and things in refreshing water under the sun (better with a sunshade on). In our review we’ve comprehensively analyzed 5 of the best inflatable pools for you to choose the one that would suit you best. Also, we strongly recommend you pay attention to the bath tubs for infants, enabling you to accustom your babies to bathing from their early age. If you want an inflatable pool for children you should choose a model that will be the right for your kid's age and height. It is not worth taking a big pool for a small child as it's not only uncomfortable but also unsafe. Large kids inflatable pools are good for family leisure. Just mind that in a spacious and deep pool the water will not get warm quickly. While small inflatable pools are easy to fill and drain, and the water gets warm in almost no time. For infants from 12 months making their first faltering steps, the best option is a wading pool that can replace a baby bath on a hot summer day. 10" height models will suit toddlers over 2 years old and 20" pools are just perfect for kids over 3 years old. The pools with 30" sidewalls and more are designed for adults and children over 5 years old. Speaking about the width and the length of your kids inflatable pool, these dimensions depend on a size of your garden or backyard and the number of kids you are going to entertain. As a rule, modern inflatable pools are not made of rubber anymore. Most manufacturers use high-quality polyvinylchloride (PVC). This material is durable and very flexible. You can easily fold your inflatable pool and safely store it till the next summer. Giant inflatable pools models may feature three-ply PVC sidewalls to provide additional safety and ensure long service life of your summer pool. Some small models are often made from highly durable molded plastic. Usually, these are compact kiddie pools easy to store and suitable even for small backyards. For kids, a pool is not only a motive to splash and paddle on a hot day but also the entire amusement center. Hence, regard bright and colorful models with a graphic design. Your tots will adore the so-called mini water parks. These are inflatable or plastic pools with slides and additional games decorated with images of ocean life or cartoon heroes that will not only entertain and excite your little fellows but also boost their imagination and creativity. There are even models designed in a form of houses, fish, fruit and cars. Selecting an inflatable kiddie pool for an infant of 18-24 months, pay a special attention to built-in seats and handles for the ultimate safety of your baby. High inflatable borders, an umbrella to create a shade protecting your baby from the sunlight and a non-slip bottom surface will become a real benefit for a kiddie pool. Some mini pools and bigger models feature holes or sprayers creating nice fountains that will refresh and excite your baby. Play center pools come with a number of extra entertainments and various games for outdoor activities. A big inflatable pool may be quite difficult to fill with water. So, check the availability of a pump for easy and effortless water pouring. 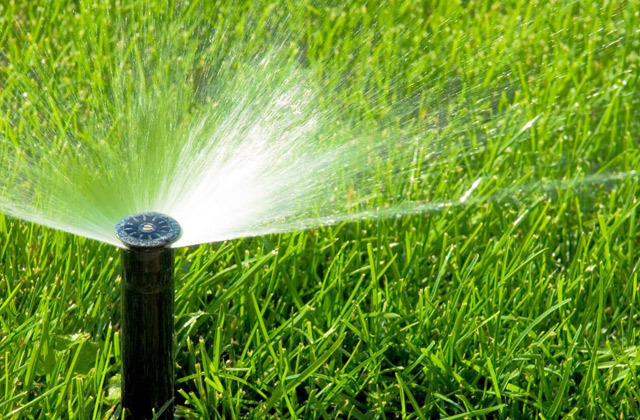 And a drain hole will allow you to quickly empty the pool or connect a garden hose to use the water for irrigation of lawns, flowers, bushes and trees. An inflatable kids pool is a must-have item for the hot weekends. It will bring lots of fun and amusement both for kids and adults. Choose one and enjoy your holidays!